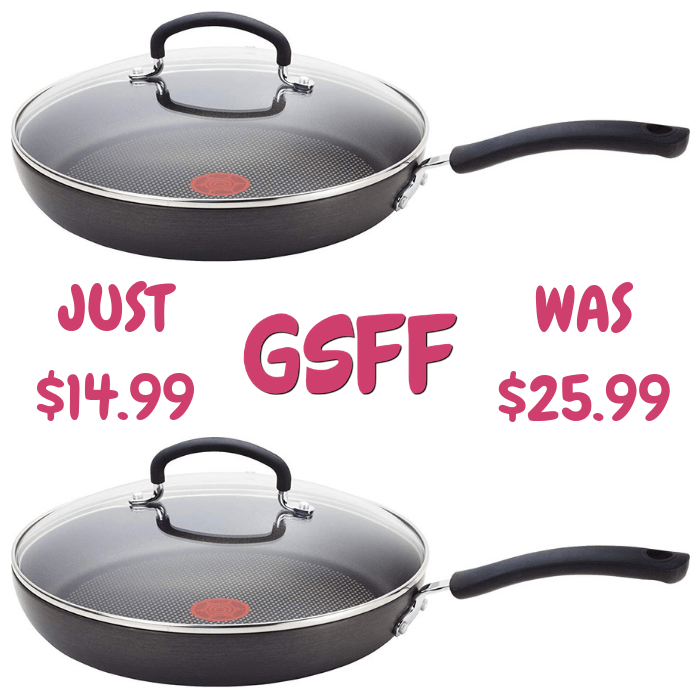 T-Fal 10-Inch Pan Just $14.99! Down From $26! Shipped! 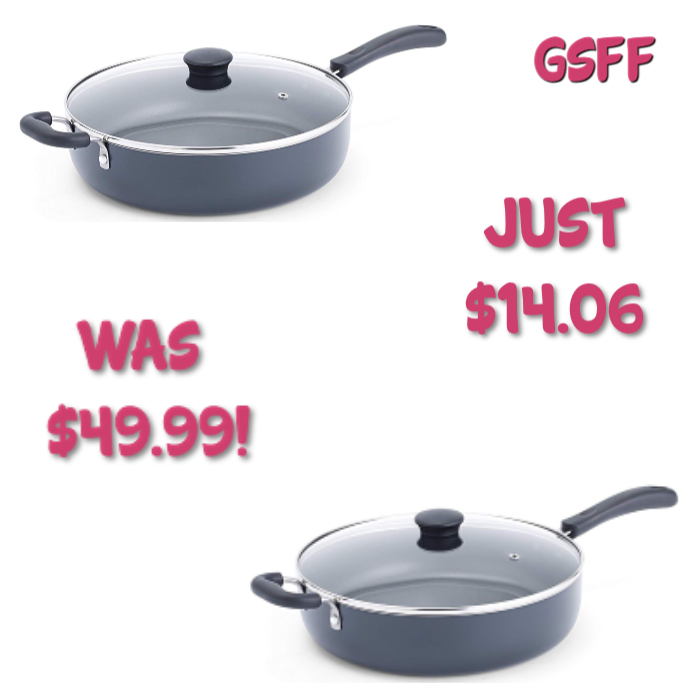 Score this T-Fal 10-Inch Anodized Pan which is on sale at Amazon for only $14.99 down from $25.99 PLUS FREE shipping! Enjoy reliable cooking performance with T-fal Ultimate hard-anodized nonstick cookware. Its innovative Thermo-Spot heat indicator lets you know when the pans are properly pre-heated—a critical component to sealing in moisture and delicious flavor, whether sautéing vegetables or searing steak. When the pattern in the center turns to a solid red spot, the pan is hot and ready to cook. The cookware’s hard-anodized aluminum construction heats quickly and offers long-lasting strength, while its warp-resistant even-heat base distributes heat evenly throughout for optimal cooking results. Use the cookware on any cook top, except for induction. The T-fal Ultimate 10-inch saute pan features tall sides and a wide base that make it useful for a wide range of cooking techniques, from browning and frying to sautéing vegetables or searing fish. 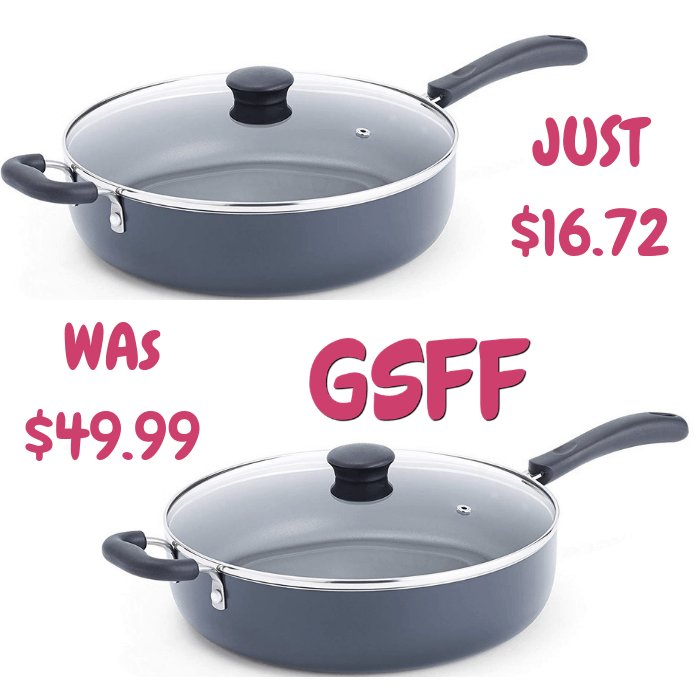 T-Fal Saute Pan Jumbo Cooker With Lid Just $14! Down From $50! Don’t miss your chance to grab this deal! This T-Fal 5-Quart Saute Pan Jumbo Cooker with Lid is just $14.06, down from $49.99! PLUS enjoy FREE shipping for Amazon Prime or for orders $25 and above! The T-Fal 5-Quart Saute Pan Jumbo Cooker with Lid is an essential pan for every day cooking. The large cooking surface and deep sides make it easy for family cooking and one-pot meals. It is great for simmering, sautéing, and braising. Plus, the durable non-stick interior and exterior makes cooking and cleaning a breeze. It allows cooking without fat or oil, making healthy cooking easy to achieve. Food releases easily from the pan’s surface so you won’t have food sticking to the pan. 5 Quart capacity for cooking family size meals. The pan measures 12″ diameter, from handle to handle 22″L and depth is 3”. Superior nonstick interior and exterior make it easy to cook and clean. Healthy cooking results with minimal oils or fat. Glass lid allows you to watch cooking progress. Vented hole lets steam escape to prevent boiling over. Popular wedding gift for the couple and/or housewarming gift that friends and family can use daily.